Landlord Responsibilities in Colorado . Know Your Job as a Landlord. As you know, a lease is a legally-binding contract between you – the landlord – and yourtenant. It is designed to grant said tenant the usage of your property, for a specific amount of time, in exchange for rent monies. It includes terms or rules in which you and your tenant agree to for the duration of the lease and while the tenant has exclusive privilege to your property. Examples include the amount of the security deposit, the amount of rent due, when rent is due, and property maintenance specifications. A lease also includes the rights and the overall responsibilities of both the landlord and the tenant. In this guide, you will learn how to make certain that you legally uphold your responsibilities as the landlord within the State of Colorado. One of the best ways to make certain that you are meeting all of your legal obligations is to enlist the assistance of a property management company. These professionals specialize in overseeing rental property, acting on behalf of the owner, and ensuring the rights of tenants are upheld. 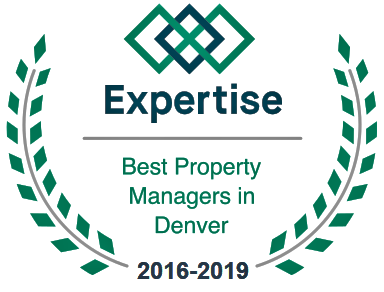 Additionally, property managers may conduct tenant searches, conduct screenings, handle the financial affairs of your business, make necessary repairs, perform maintenance, and even create the lease agreements that you use to create agreements with tenants to use your property. If you want to make sure all of your bases are covered – as a landlord – we here at Pioneer Property Management can help you! We offer a multitude of services that will allow you to enjoy the proceeds from your rental business – without all of the hassle!